Dr. Patrick T. Cuozzo’s new website enhances visitors’ experiences by offering comprehensive orthodontic treatment information that is easily accessible on both desktop computers and mobile devices. Lincroft, NJ — Dr. Patrick T. Cuozzo, a New Jersey orthodontist with offices in Lincroft and Sea Girt, is announcing the release of a new website to provide visitors with an easy-to-use resource when looking for information on orthodontic procedures. 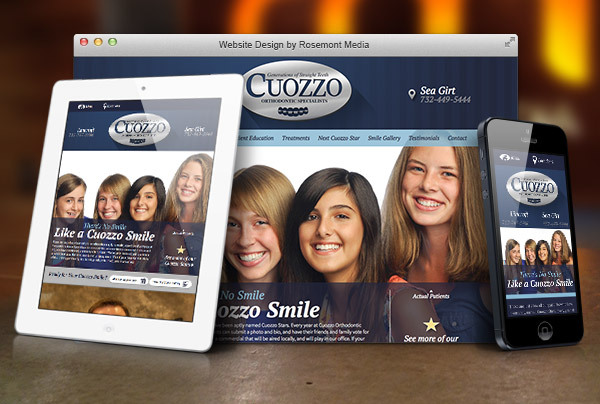 The new site for Cuozzo Orthodontic Specialists has been built using what’s known as a “responsive” design – it can be easily read across a range of digital platforms, including smartphones, laptops, and desktop computers, without sacrificing the depth or readability of its content. Dr. Cuozzo says the new website can give individuals considering orthodontic treatments, whether for themselves or their children, a comprehensive source of information on treatments that can help them correct a variety of orthodontic issues. Also highlighted on the website: “The Next Cuozzo Star,” an annual contest where younger patients can win a chance to star in a commercial for the practice and be featured throughout the site. The Monmouth County orthodontist teamed with Rosemont Media, a dental marketing company in San Diego that specializes in responsive dental website design and website creation for a variety of healthcare fields, to develop the site. 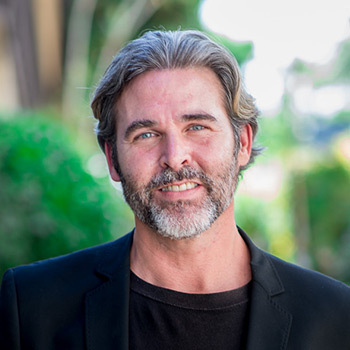 He says he hopes the new website reflects the commitment to thoroughness, effectiveness, and convenience for which his orthodontic team strives while giving viewers a helpful tool to learn about his practice and the many advanced treatments available. Dr. Pat Cuozzo is a Diplomate of the American Board of Orthodontics. His father, Dr. Gary Cuozzo, created Cuozzo Orthodontic Specialists in 1972, and Dr. Pat joined the practice 25 later. Dr. Cuozzo has been recognized multiple times by his peers as a Top Orthodontic Specialist in New Jersey Monthly Magazine, and he is listed in the Guide to America’s Top Dentists. In addition to his orthodontic practice, Dr. Cuozzo is a Clinical Professor at the University of Pennsylvania School of Dental Medicine. He is a member of the American Association of Orthodontists, the New Jersey Association of Orthodontists, the American Dental Association, and other organizations. Dr. Cuozzo is available for interview upon request. For more information about Dr. Cuozzo and his orthodontic practice, visit 4straightteeth.com, plus.google.com/105507884179382521951/about, and facebook.com/CuozzoOrthodonticSpecialists.